India is a country of vast cultural diversity. Its array of religions and countless languages are a great part of the region’s heritage. The Indian people love a good party, and the measure of their celebrations can be seen through their many festivals. 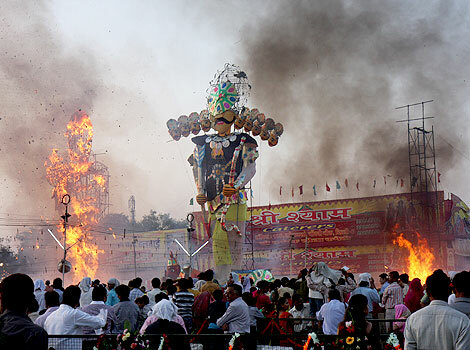 These festivals are representative of India’s culture, from honoring Gods and Goddesses to celebrating good over evil. India’s festivals are filled with vibrant colors, dancing, cuisine, songs and music! There are multiple festivals to marvel and take part in, so let’s take a look at some of the most exciting and vibrant celebrations in India. This festival celebrates victory over evil. Celebrations rejoice in honor of the mother Goddess, with a nine day `Navratri’ festival with fireworks, parades, dancing, songs and music. The tenth day, which is referred to as Dussehra, celebrates the warrior Goddess, Durga, who killed the wicked buffalo demon. This day also represents how Lord Rama conquered King Ravana. This rich and vivid festival is usually held in October with many considering the most festive celebrations happening in the region of west Bengal, Calcutta. Many of the events are free though gold cards are sold to tourists, allowing them free access too many of the ceremonial events. This festival is known as India’s world renowned “Festival of Lights.” The celebration is a five day Hindu party which commemorates the conquest of good over evil. The region of North India recognizes Diwali by memorializing the homecoming of Lord Rama to Ayodhya, after conquering Ravana. The region of South India recognizes Diwali by rejoicing over the conquest of the demon Narakasura, by Lord Krishna. Lights remain on throughout the whole of India and doors remain unlocked to greet the Goddess of Wealth, Goddess Lakshmi, to ensure the people of India financial stability and good fortune for the New Year. When prayers end, the night sky is ablaze with firecrackers, bursting noisily throughout the evening. 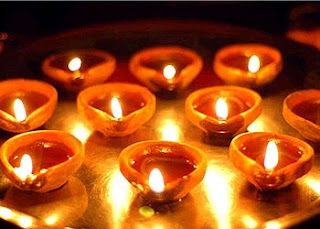 The Diwali festival usually begins in November. This celebration represents the customary ten day festival of Kerala, commemorating the harvest. Onam honors the return of the kind and caring fabled ruler, King Mahabali. Carpets made of flowers adorn the people of India’s homes as they greet King Mahabali during Tiruvonam day. 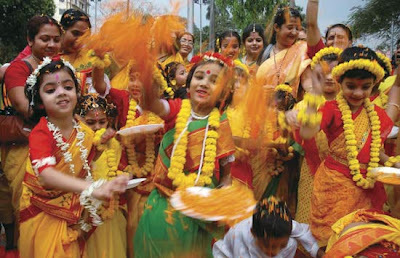 The festival is filled with dancing, games, snake boat races, banana leaves and celebratory sports. The people of India dress in new clothes, followed by a customary ‘Sadhya’ meal, which the main course of the meal is offered to the mythological King. 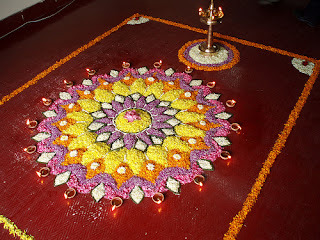 The Onam Festival usually begins in August. We hope that this post will make you all excited to be a part of these great festivals which represent vibrant colors, dancing, cuisine, songs and music! There are some parts of the world that, once visited, get into your heart and won't go. India has lots of such places. It is the richness of the land with its natural beauty and amazing architecture that lets you see beyond black and white and enjoy different colors, smells, tastes, and sounds. In this travelling blog you will be able to see the real India through our eyes. You want to discover various destinations, explore the beauty, create your own picture of India? Come along. Join us in our journey. In this travelling blog you will be able to see the real India through our eyes. You want to discover various destinations, explore the beauty, create your own picture of India? Come along. Join us in our journey. Your journey.